Our emergency dentist is able to respond to even the most serious conditions requiring dental surgery. The goal of any dental surgery is to treat illnesses, injuries, and defects of the mouth. Whether your emergency happens outside “office hours” or you don’t have a regular dentist, you can count on us for urgent dental care. You don’t have to live with tooth or jaw pain. As a provider of emergency dental care, our goal is to help patients understand their treatment options so we can act quickly. Our dental surgeon and compassionate staff understand that you may be feeling stress, fear, or uncertainty. You can feel peace of mind knowing that we’ve provided emergency dental care to thousands of patients. You can feel peace of mind knowing that we’ve provided emergency dental care to thousands! We take every precaution to make sure your dental surgery is a success. After the procedure, we’ll also make sure you understand what to expect while you heal and how to take care of your smile in the meantime. Don’t hesitate to call our office if you have any questions. 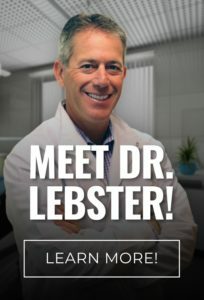 Dr. Lebster DDS has the necessary training and experience to perform dental surgery in his office. To see our Holland dental surgeon as early as today, call RediDental Emergency Dental Care at (616) 796-3200.